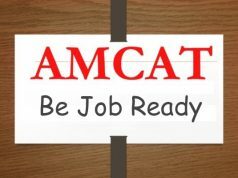 "If You Don't Want To Settle For Less, Go For The AMCAT Exam"
These are some of the questions that people often ask when they get introduced to AMCAT. With its vast reach on both recruiters and job seekers alike, AMCAT is a perfect platform for anyone looking to make an impressive career. The AMCAT exam matched his skills and experience with the recruiters, (in this case, GeeksForGeeks) looking for similar qualities, and voila, sparks flew everywhere! We may be over-dramatizing it but the fact remains that they both found each other, the recruiter and the job seeker alike, in a perfectly rewarding set-up. “I am a passionate Geek who loves to learn and teach”, says Rishabh who always wanted to work in an environment where learning and innovation knew no bounds and he found it with AMCAT. Rishabh first got introduced to AMCAT through his college and has attended and cleared 20 job interviews before finally joining GeeksForGeeks. 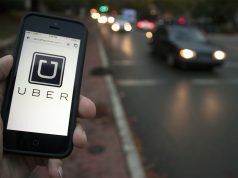 While everything was seemingly moving in his favor, Rishabh was not satisfied as his skills were not getting the recognition or the pay he wanted. And, that is when he decided to opt for the AMCAT test. Rishabh’s journey with AMCAT was highly successful. He received his first interview call 2 weeks after giving the AMCAT exam and it has not stopped since. Rishabh further adds that he would love to recommend the AMCAT exam to his friends and family. 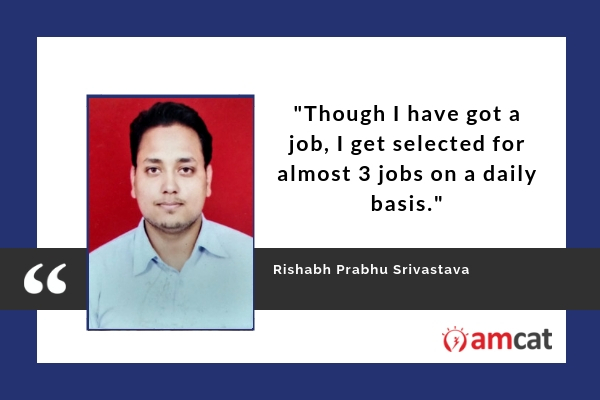 And, Rishabh Prabhu Srivastava put his devoted struggles to good use during the job interview process. Though he does agree that the interviews he had to face where tough, he could sail right through them by being a highly Competitive Programmer for around a year. Rishabh has no particular success mantra, except, hone your skills and if you are CSE graduate then learn and know everything about Competitive Programming. Rishabh P. Srivastava did not just bag a job through the AMCAT exam but one that he absolutely fell in love with. So, if you are still asking how effective the AMCAT exam is/or if you really get a job through it, then now you know the answer. AMCAT can open new possibilities for you only if you are determined to succeed. So, schedule your AMCAT test today and pull off a Rishabh Srivastava. For any tips, suggestions, queries; drop a text in the comments section below.